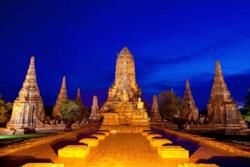 Ayutthaya is home the Historic City of Ayutthaya which today is a UNESCO World Heritage Site. 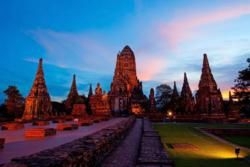 The province of Ayutthaya of which Ayutthaya is its capital is only 76 kilometres north of Bangkok. This city was the previous capital (until 1767), when it was destroyed by invading Burmese armies. The ruins of the old city gives one a very good appreciation of the grandeur of this city in its heyday, and a very important link in the history of the Royal Dynasties of the time.